Hello, you have reached (Alter-E-Go Corporation). Hello, thank you for calling (Alter-E-Go Corporation). Hello, this is (the Marketing department). Hello! You’ve reached the voicemail of (Michael Helps). Hello. You have reached the office of (Michael Helps). Our business hours are from Monday to Friday, 9am to 7pm. All of our lines are currently busy. Unfortunately, we are unable to take your call at the moment. I am currently away from my desk. I am away on business until Friday. I am unable to take your call right now. I will be out of the office until (Monday the 24th), and I will be checking my voicemail occasionally. I am currently on the phone right now. Please leave us/me a message at the tone. Please leave us/me a message. We/I will call you back as soon as possible. If you leave your name, telephone number and a brief message, we/I’ll return your call as soon as possible. Please leave us/me a message with your name and phone number and we/I will call you back as soon as we can. Please leave a message with your name and telephone number at the tone. We will return your call shortly. Please leave us/me your name and number. We/I will call you back promptly. Please leave us/me your contact information. Your call will be returned shortly. Please leave a message with your contact information and we/I will make sure to call you back. If you leave your name and phone number, we/I will call you back as soon as possible. If you leave your name and phone number, we/I will return your call as soon as possible. If you wish to leave us/me a message, please do so after the tone and we/I will call you back as soon as possible. 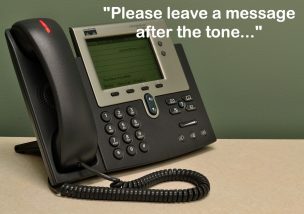 If you would like to leave a message, please do so after the tone and we/I will return your call as soon as we/I can. Please call us back between Monday and Friday, between 9am and 8pm. Thank you! If this is an emergency, please contact our hotline at (03-1234-…). If you need immediate assistance, please call our hotline at (03-1234-…). Hi, this is (Michael)‘s cellphone. Hi, this is (Michael)‘s voicemail. Hello, the is the (Yamada) residence. Hello, you’ve reached the (Yamadas). I can’t answer my phone right now. I’m busy at the moment. Leave me a message and I’ll call you back. Leave me a message at the beep and I will call you back as soon as I can. I’ll get back to you as soon as I hear your message. Please leave a message! Thanks! Leave a message after the tone! Thanks! Leave a message after the beep! Thanks! Hello, this is (Mariah Hill) calling. My number is (090-1234-****). Hello, this is (Mariah Hill) from (Alter-E-Go corporation). Hi, (Yumi)! This is (Mariah) from Marketing. This is a message for Mr.Ms (Hills). This is (Mariah Hill) returning your call. We are interested in (your company’s products). I would like to (schedule a meeting with you). I would like to (ask you a few questions about…). Could you call me back? Thank you! Hi, (Yumi)! This is (Mariah) from Marketing. Can you call me back please? Thanks! Give me a call when you can! Give me a call when you have a sec! Thank you for reading until the end! Please leave comments if you enjoyed this article! Thanks!